The claims management lifecycle is a complex, painstaking process. While processing electronic claims has reduced phone calls with payers, minimized duplicated data entry, and decreased reimbursement times, it has increased the scale of the insurance claims your biller has to create, track, and manage throughout the lifecycle. Now, if you or your biller are submitting a batch of claims every week while trying to keep up with other claims already in the lifecycle, then you risk reports slipping through the cracks and rejected claims piling up before you even get a chance to correct them. 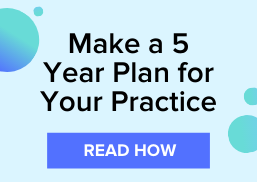 The Insurance Revenue Cycle Management service from VisionWeb offers vision and medical billing services to take the more painstaking, detail-heavy parts of the optometric billing cycle off your practice's hands. Now, all you and your staff have to worry about is checking the patient’s benefits eligibility and creating the batch of claims. Then, we work with you, your biller, and thousands of insurance payers to keep your claims moving forward so you can focus more on your patient satisfaction. 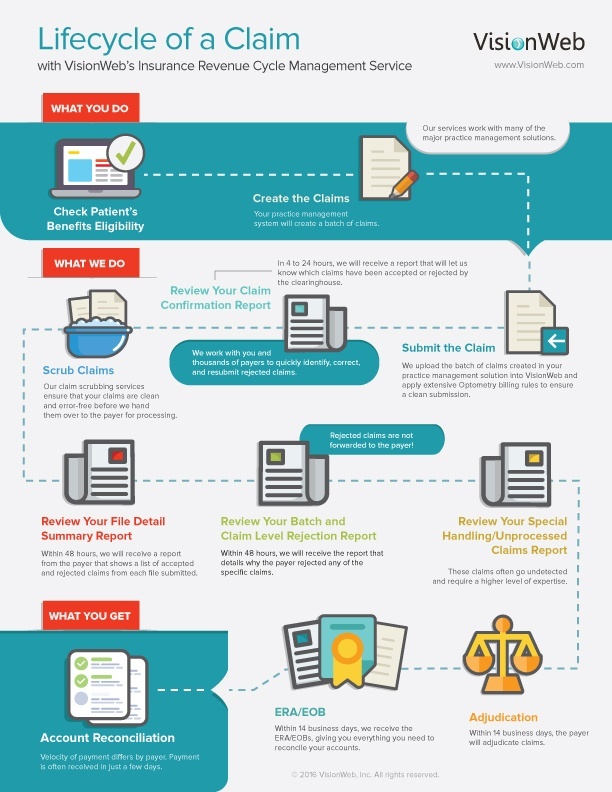 Checkout this infographic to see how VisionWeb’s Insurance Revenue Cycle Management Service works the billing cycle for you to simplify your claims lifecycle. Click here to enlarge or print the infographic! For more information on VisionWeb's Insurance Revenue Cycle Management Services, request your RCM consultation here!